Getting paid is the bedrock of any business. This guide includes a comprehensive overview about payment processing, how it works, and the latest payment technologies. Getting paid: the bedrock of any business. But if you’re just starting out, the world of payments can be a bit overwhelming. And even if you’ve been around for years, you need to stay current as the payments landscape changes. But not to worry—this guide walks you through everything you need to know about payments as a business owner. 1. How do I accept payments? To accept payments, you need to get a point-of-sale system (aka POS). Your POS should be able to handle cash, credit cards (especially contactless) and mobile payments. 2. How are sales deposited? You need to connect your bank account to your POS. Square’s deposit schedule is fast and you’ll have the money in your bank account as soon as the next business day. Chargebacks happen when customers dispute a charge from your business with their card-issuing bank. When a chargeback happens, the funds in dispute are held from the merchant while things are being worked out. 4. How can I accept contactless cards? Contactless cards are easier and faster than chip and PIN payments. They require a contactless card to be held close to a suitable reader for a payment to complete. In order to accept contactless cards, you will need a reader that does likewise. 5. How can I accept mobile payments? To accept mobile payments like Apple Pay, Android Pay and Samsung Pay, you need a card reader able to recognise them. When mobile payments are used, customers simply hold their phone to the reader, in the case of Apple Pay, they must also authorise the payment by holding their finger to the touch ID button. To take payments, you need a point-of-sale system—also known as a POS. A POS has hardware that allows you to process payments and software that lets you add items and complete a sale. Your POS system also takes care of routing funds to your bank account after you make a sale. When considering a POS for your business, make sure that it accepts not only cash but also credit cards and mobile contactless payments (NFC). Increasingly, people are moving away from cash instead opting to pay with credit cards and digital wallets. Your POS system should be able to to do a lot more than just process payments. Look for a POS with software that can help you run your business from top to bottom (things like sales reporting, inventory management, employee management and more). Think of your POS as a command centre for your business. Read our complete guide to POS systems to learn more. To get deposits from sales, you need to connect your POS to your bank account. This is quick and simple with Square (Learn how to link your bank account to Square). It takes up to seven business days to verify the bank account, and then you’re good to go. Read more about how to connect your bank account to Square. Effectively managing your cash flow can have a massive impact on your business success. Look for a system with reliable, fast deposits. 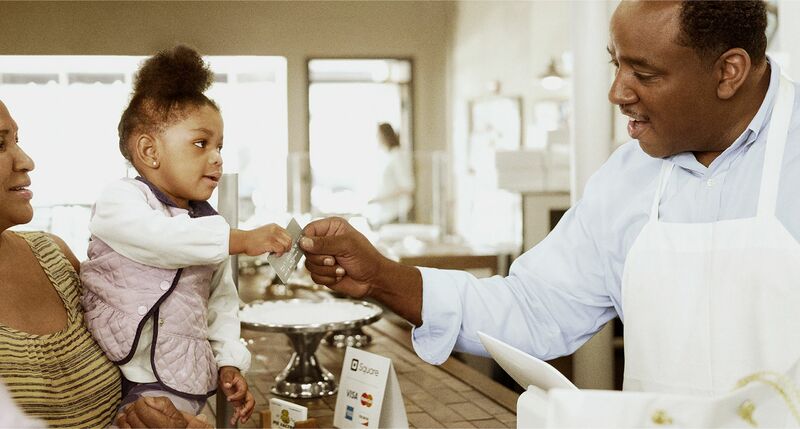 Square’s deposits are reliable—and fast. With our standard deposit schedule, funds are deposited in your bank account as soon as the next business day. If your business has unique hours, you can also customise the time you’d like transactions grouped for a daily deposit (this is called your “close of day” time). You need to give your customers a record of their transaction (or offer to do so). Your POS system should be able to take care of that as well, either through a peripheral paper receipt printer or through digital receipts. Increasingly, businesses and customers are finding digital receipts—that is, receipts that are emailed or texted—to be the preferred type of payment confirmation. Digital receipts save paper and are much more convenient. They’re also a lot easier to keep track of (because let’s be honest, paper receipts often end up in the rubbish). Receipts have seen a revolution in the past several years. Digital receipts are convenient and can offer features like customer feedback. In addition to all the sale details (including taxes, fees or any discounts), your receipts should include your business’s name and contact information. 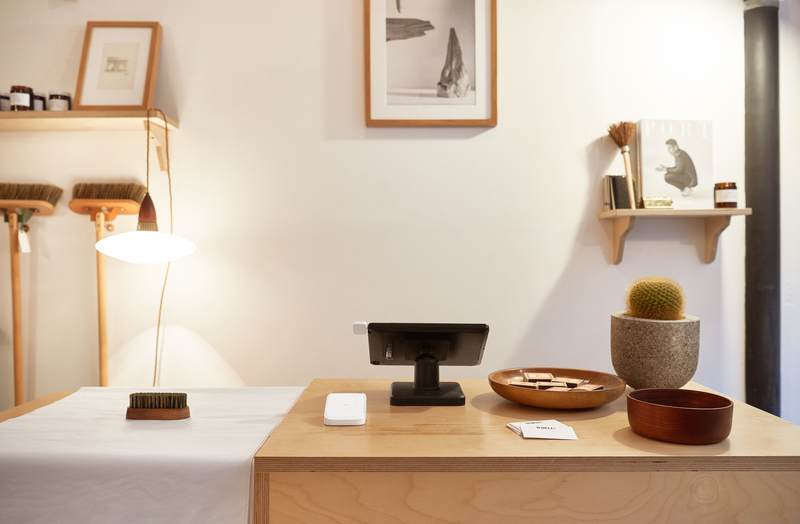 Square digital receipts (which you can email to a customer directly after you make a sale) also come packed with other goodies—including a place where customers can quickly send you feedback about their experience.). If you’re in the services industry, it’s likely you have to create and send invoices to get paid. Just as with receipts, you can opt for paper or digital invoices. On your invoices, always make sure to include your business information (name, email address, physical address, telephone number); customer information (full name and address); the invoice number (for your records); date and terms (specifically outlining the time period in which you expect to be paid); price and description of the items (as well as quantity); and taxes, fees and discounts. Invoices are an extension of your brand and the right templates can help establish a sense of trust and professionalism. As with receipts, it’s much more streamlined to use digital invoicing. 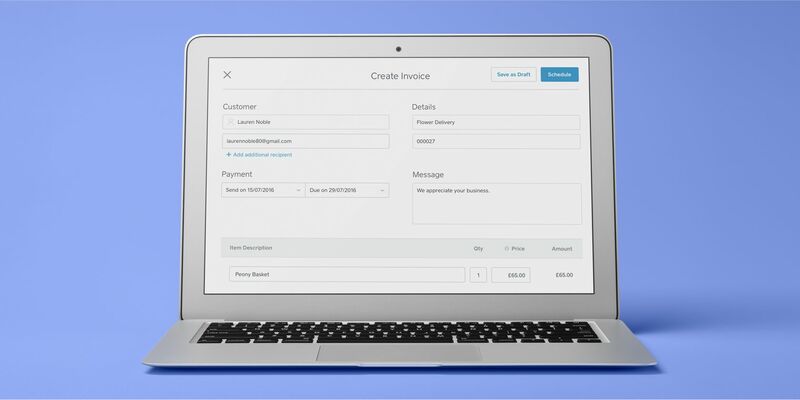 Square has professional-looking, ready-to-go invoicing templates that you can email out to clients. From there, they can pay you with a click. You can also keep track of all your invoices in one place in your Square Dashboard—and sort them by what’s been paid and what’s outstanding. Chargebacks happen when customers contest a charge on their statement with their card-issuing bank. People contest charges for a number of reasons: Perhaps they don’t recognise the charge or feel the services weren’t up to par with what was advertised. Whatever the reason, the whole thing is a drag. When there’s a chargeback, the funds in dispute are held from the merchant while the card issuer works things out and decides what to do. “Working things out” can be a complicated, slow and time-consuming process involving a lot of paperwork and documentation. Payments have gone through several changes—including the shift to contactless cards and the introduction of mobile payments like Apple and Android Pay. Cheques can take a while to clear. Credit card transactions, on the other hand, are usually deposited within a few business days. People want convenience. And if they’re only carrying cards, they may skip you over and opt for the competition. Research shows that over 50% of payments in the UK are now made by card. Accepting credit cards ensures that your customers have the best experience possible, which makes people more likely to recommend your business to friends. People tend to spend more when they pay with a card. And card spending is growing in a big way – in April 2017 alone, Brits spent a huge £26.5 billion by card. No longer hindered by the thought of “do I have enough cash on me to cover this?” customers are much more free to spend. That means more impulse buys at the counter. If you have stickers or displays at your register informing customers of all the major cards you accept, that’s likely to instil a sense of trust with people. Credit card transactions are heavily screened to reduce the risk of fraud. 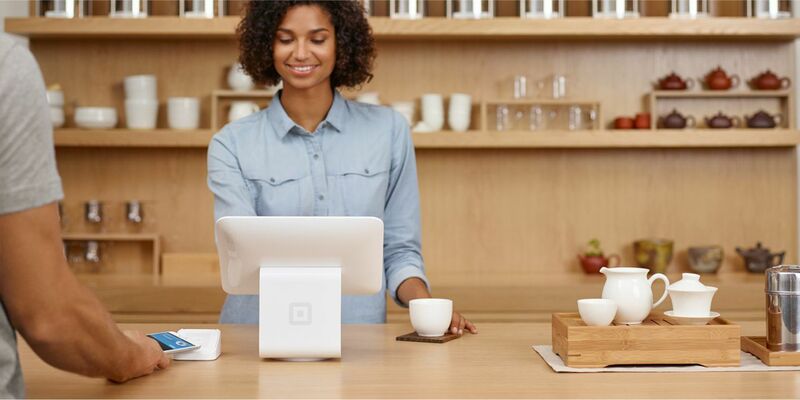 Square monitors every single transaction from swipe to payment so sellers can avoid (major or minor) headaches. Even if you’re on a shoestring budget, it’s easy to get set up to accept credit cards. 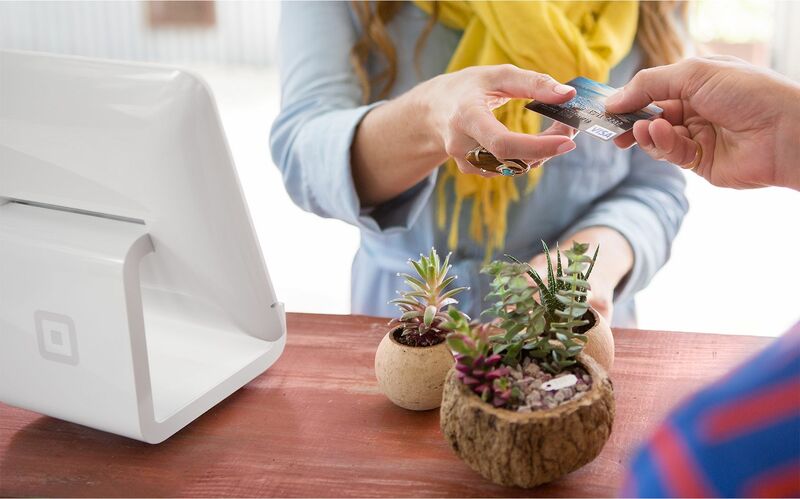 Square offers affordable credit card readers at a competitive rate of just 1.75% per tap, insert or swipe. Soon, more and more of your customers will want to pay “contactlessly” via their mobile devices. Contactless payments require no physical contact between the device and the payments reader—customers just tap or hold their device over the reader to pay. The most popular examples of contactless payment solutions are Apple Pay, Android Pay and Samsung Pay. As opposed to chip and PIN, which can be pretty sluggish, contactless payments are extremely fast (they take just seconds to process). So to provide the best possible customer experience (and secure your business), it’s a good idea to be fully equipped to accept contactless and mobile payments.